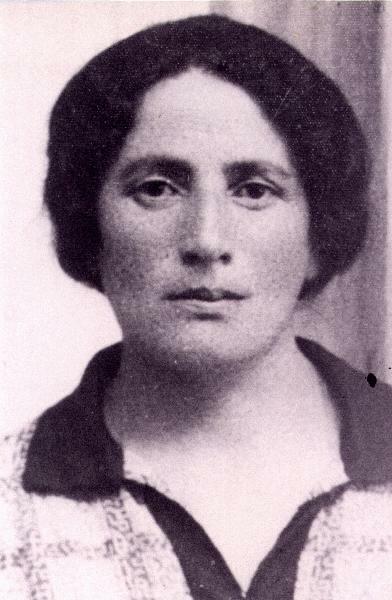 Rivka Lea Sanicki, nee Gostinska, was born in 1886, perished in Chelmno, April 1942. Her parents (my great grandparents) were Chaja nee Stolcman and Mosiek Gostinski. They got married in Gombin, 1881. Mosiek had a butchery, which passed to his son, Jacob Gostinski. One sister, Perla Gostinska married Zanwil Zawirucha from Wyszogrod and emigrated to France. The Zawirucha family perished in the Holocaust. Only one son, Mordka (Max) survived Auschwitz and lived in Paris, and changed his name to "Zavier". One brother, Jacob Gostinski was my grandfather. He married Yochewet Honigstock and had 3 children: Rachel, (my aunt who died in Kibbutz Ein Ha'choresh, 1995) my mother Rywcia, (Rivka) who died in 1969 and Pinkus (Pinchas). All the family perished in the Holocaust except my mother and my aunt Rachel who immigrated to Palestine just before the break of the War. Rivka Lea Sanicki had a grocery shop in Gombin. Her house still stands in Gombin and I saw it when I visited Gombin last April. She was a widow for many years and raised the children by her own, fighting to make up living for the family. 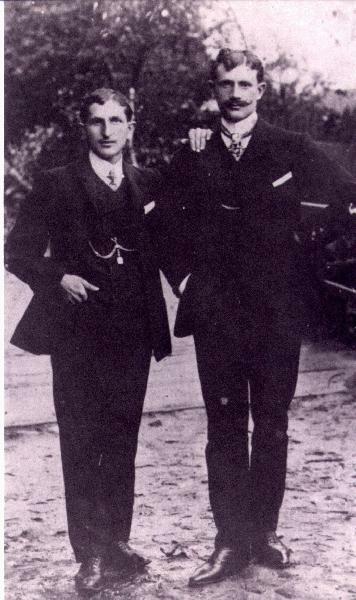 Herszek Sanicki - was married to Cirel Frankel and had one son: Nuchem (called after the grandfather). Surcia (Sara) Sanicki married Moshe Kerber and had one daughter. Cirel Sanicki married Yosek Chaja and they had one daughter: Hanna. Yekel (Jacob) Sanicki - the only survivor of the whole family. Lived in Australia, left two children: Claude and Nicole Rosenfeld. Ester Sanicki married Jankel Kohn. Chana Sanicki - was not married. Icchak Wojdeslawski - from Rivka Lea's second marriage to Wojdeslawski. All the family members, except Yekel, perished in the Nazi Holocaust. God revenge their blood and their memory should be kept for eternity. 1) Source: Ben Guyer (Benyamin Chaja), May 1997.